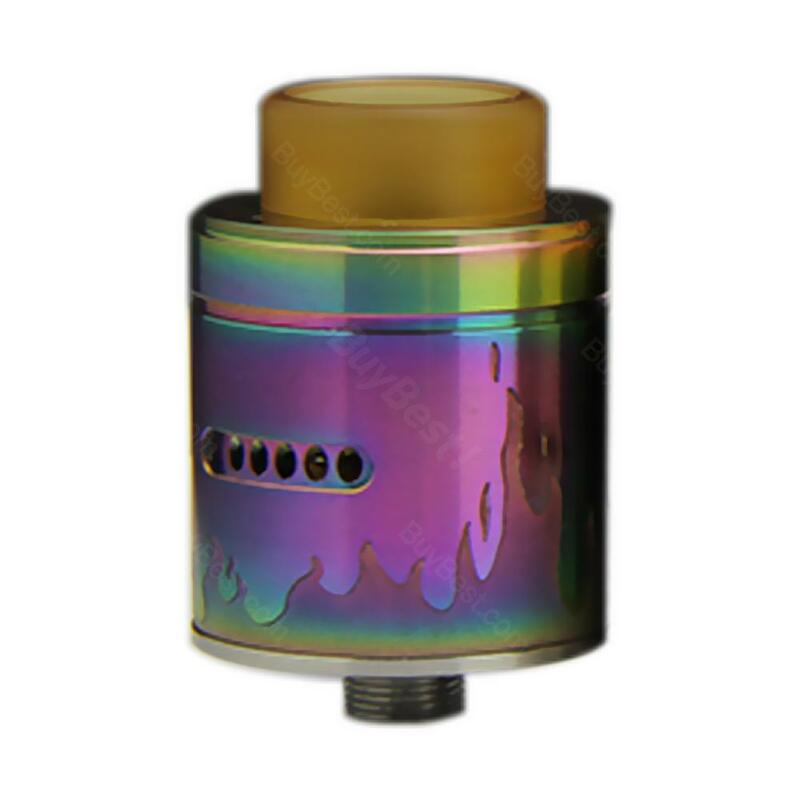 Arctic Dolphin Blaze RDA is a rebuildable dripping atomizer co-designed by Arctic Dolphin and American DNR, comes with 24mm diameter and two post build deck, it can support both single coil and dual coil building. Arctic Dolphin Blaze BF RDA is a rebuildable dripping atomizer co-designed by Arctic Dolphin and American DNR, comes with 24mm diameter and two post build deck, it can support both single coil and dual coil building. It adopts a revolutionary rounded internal top cap and "W" airflow design, enable to deliver purer flavor and larger clouds. 5 colors for your selection! Arctic Dolphin Blaze RDA Atomizer is an atomizer. Made by Arctic Dolphin and American DNR features the fire flame design, "W" airflow and side adjustable airflow. Supporting single or dual coil building.